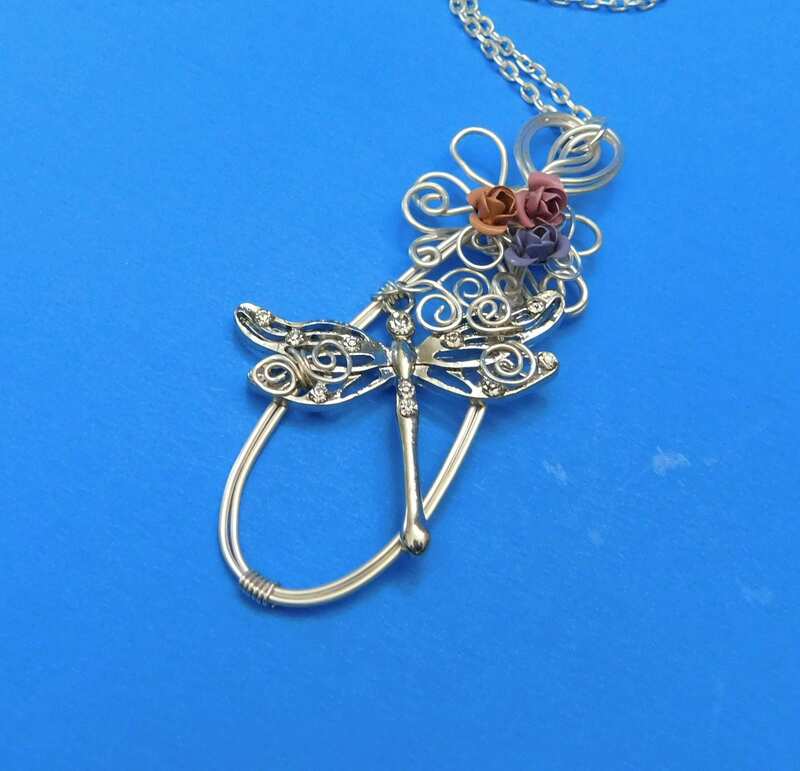 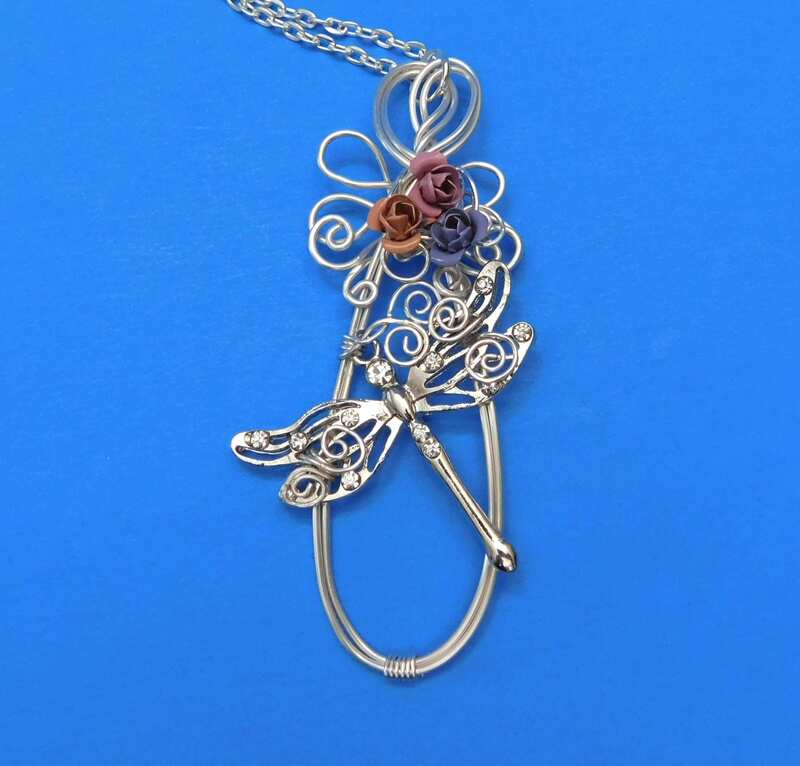 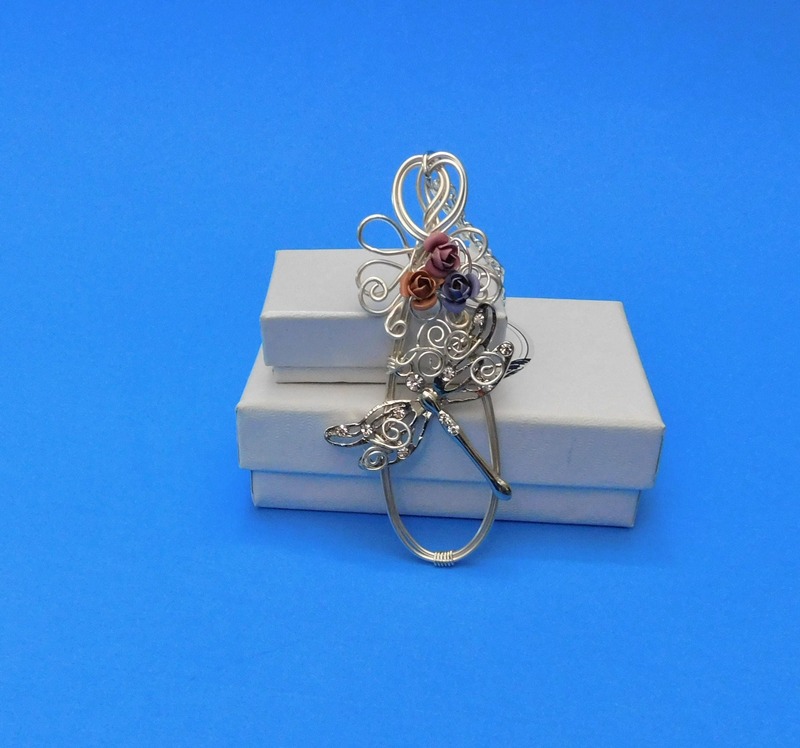 Steel wire is hand sculpted to create an oval pendant that incorporates a 1 1/4 inch dragonfly with a 2 inch wingspan, embellished with rhinestones. 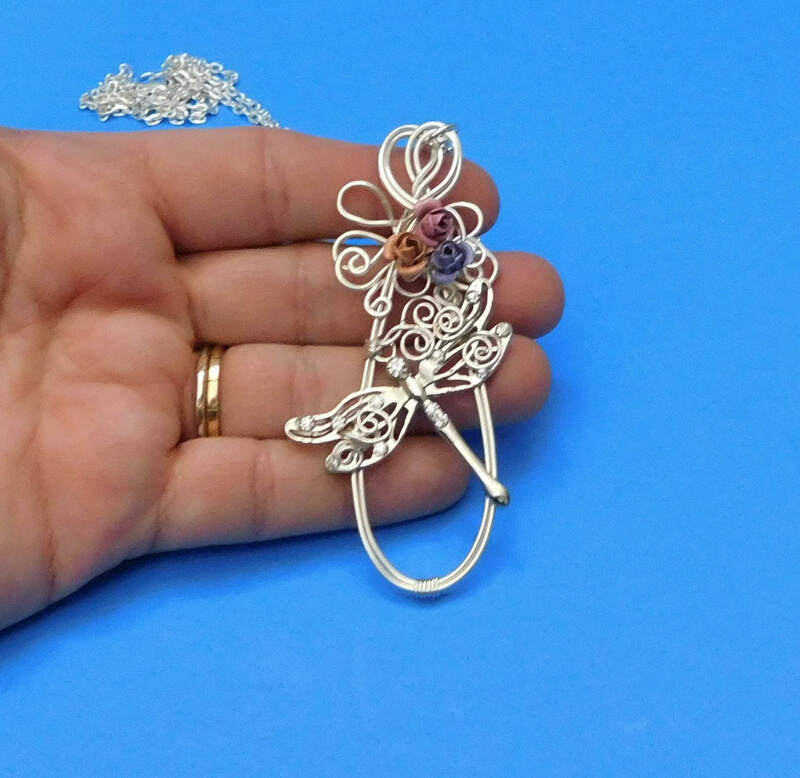 The tiny flower details finish off the pendant at the top, giving this pendant a delicate, feminine flavor. 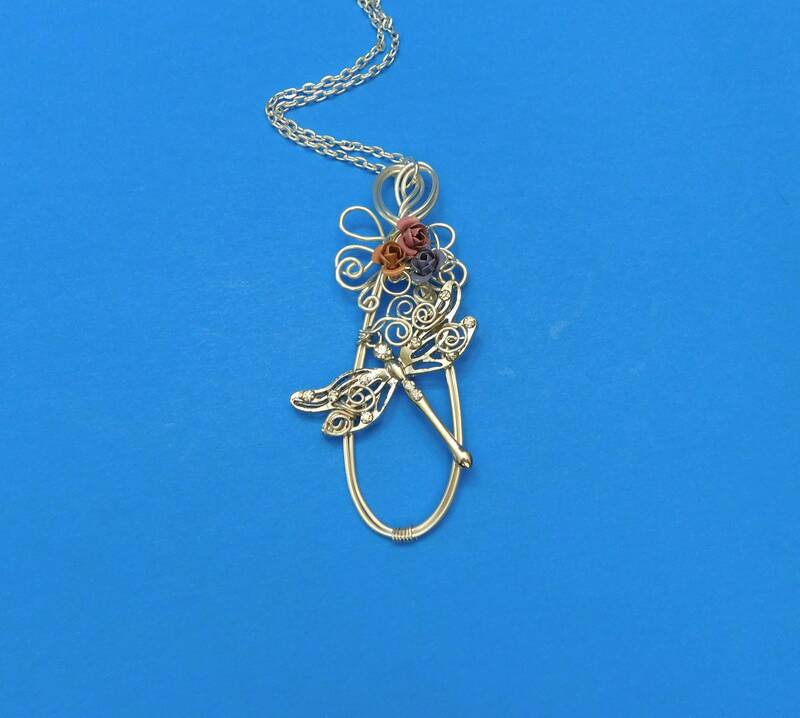 The entire pendant measures 3 1/2 inches in length and comes with a FREE coordinating chain with lobster claw clasp, measured to your preferred length.